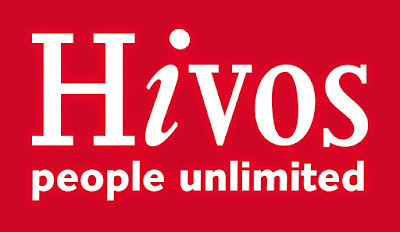 In Hivos the primary business development responsibility lies with Program Development Managers (PDMs). The BDSO in close collaboration with the Regional Director, PDMs, Program Managers, International Tender Support and Compliance (TSC) Team based in the Hivos Global Office (GO) and other relevant staff will support and advise PDMs in their business development role by developing funding acquisition strategy to enable effective implementation of the Hub SEA program strategy. This would involve undertaking donor intelligence gathering and mapping, identifying and researching prospects, communicating and advising on business development, coordinating the fundraising efforts across the teams, and providing practical support to proposal development and submission processes. The post will engage in different networks and actively develop donor relationships. S/he will monitor and evaluate resource development performance, ensure compliance with donor requirements both at program development and implementation stages. The Business Development Support Officer (BDSO) hierarchically falls under supervision of and reports to the Regional Director. On on-going basis research donor priorities, mapping these against the Hivos Hub SEA annual plan and strategic priorities (geographic and thematic) so as to align grant acquisition strategy. Develop a funding acquisition strategy for Hivos Hub SEA. Develop donor engagement strategies for key identified donors. In collaboration with the RD, PDMs and International TSC team analyze the funding pipeline, advise and proactively support on actions to strengthen the pipeline. Identify key stakeholders and networks relevant to priority pipeline opportunities for effective prepositioning. Plan and implement donor relation strategies; pro-actively network with existing and potential donors and maintain active contact and coordination. In coordination with PDMs engage in programmatic national and regional networks related to the regional program. Ensure that business processes are in place to support effective program design and proposal development processes. Coordinate proposal development process from identification of opportunity to the award phase ensuring appropriate level of decision making on bidding, design and proposal submission. Coordinate with the International TSC team and others on global calls for proposal. In coordination with GO, develop evidence base of Hivos Hub SEA capability and experience (eg capacity statements, past performance references, reports and evaluations). As a key member of the proposal team, conduct desk reviews to inform proposal strategy, such as Go/No-go decisions, problem analysis, partnering and staffing decisions. Liaise with partners in preparation of the proposal. In coordination with finance team ensure adherence to cost standards application in compliance with Hivos tariff/ fees policies and donor requirements. Develop and maintain a roster of local and international consultants arranged on the basis of their thematic knowledge and donor familiarity for quick deployment. Ensure that staff and partners are aware of and following donor compliance requirements. Monitor compliance with donor requirement. Ensure quality and continuous communication with the donor. Manage oversight of Osiris system. Provide regular updates to the related teams, evaluate performance on resource development, provide resource-development inputs to annual report. Manage the knowledge database to ensure information shared among relevant stakeholders. Collation and communication of learning from successful and unsuccessful proposals to inform the future proposal development process. Manage knowledge base of program concepts, capacity statements, proposal templates etc. In coordination with communications staff collect and produce case studies and program stories for (donor) communications and marketing materials. Create briefing materials for donor meetings and events. Ensure that required program business development documentation (e.g. Capacity Statements) and material (e.g. program and organizational profile brochures) are up to date for sharing with potential donors. Bachelor’s degree preferably in business development/ adminsitration or relationship management. At least 5 years experience in institutional business development in an internationally operating non-profit development or a related field. Experience in working with different donor communities, such as trusts, foundations, corporates and bilateral and multilateral agencies such as EU, USAID, DFAT, GIC, SIDA, DFID, CIDA, SIDA, UN agencies etc. Existing donor and partner networks will be an asset. To apply for this position please submit your CV and a cover letter to hr.sea@hivos.org no later than 19 August 2018. Please specify the position name you are applying for (‘BDSO’) in the ‘subject’ line of your email. Only shortlisted candidates will be notified.